HV Scooterrent Alkmaar - RENT YOUR MOTOR SCOOTER, BIKE & E-BIKE - Explore and tour around Alkmaar! Free route map of the Alkmaar region! Upon reservation you have agreed with HV Scooter Rent Rental Terms. You can call if you like! Sunday and ouside opening hours only on request. Easy does it! A Dutch lunch box. When you start exploring the Alkmaar city from our shop, you will cycle or drive on your scooter along the canals of the city through the old towncenter. In the area of Alkmaar you will find Broek op Langedijk, famous for it’ Broeker Veiling: the authentic vegetable auction, where the auction clock is still going. The ‘Schermer’ is famous to the many mills. And along the coastline of North Holland, there a very nice olsd villages like Bakkum, Egmond, Bergen aan Zee, Camperduin and Petten. Pay a visit to the famous shrine of ‘Onze Lieve Vrouwe ter Nood’ in Heiloo, a pilgrimage place. There is great infrastructure for scooters & cyclists which will lead through the forests and dunes. Spend some time & relax at the beach. On thursday it is nice to visit ‘Westfriese’ markt at the village Schagen. If you like to make a day long trip or make this by scooter follow the beautiful ‘Westfriese omringdijk’ which goes by many places to visit before you return to Alkmaar. Along the many routes there are many nice opportunities to enjoy a snack or use our picnic service! Rental is available from Monday through Saturday from 10:00 until 18:00. Rental on Sunday or beyond opening hours only upon approval. Delivery and pick-up service on location is available. Take away Lunch box p.p. * prices per day, unless mentioned otherwise. Delivery and pick-up service on location is available. Surety must be paid in cash. Our motor scooters are easy to manage and drive. They are equipped with a two person seat and storage. Our motor scooters do not require a helmet. The minimum age to rent a motor scooter is 21 years. A valid drivers license is required. The rent and security deposit has to be paid upon pick-up. All our prices include BTW (VAT). Rental is available from Monday through Saturday from 10:00 until 18:00. (Rental on Sunday or beyond opening hours only upon approval). Identification required. For the rental of motor scooters a valid drivers license is required. Minimal age for motor scooter rental is 21 years. The surety has to be paid in cash. The tennant is deemed to have received the rented bike, e-bike or motor scooter in good condition. The lessor is deemed to have provided a bike, e-bike or motor scooter in good condition. The tennant will be liable for any damage of the rented bike, e-bike or motor scooter and will reimburse the requiered replacement of damaged goods as well as the cost of labour involved. The lessor has the right to revoke the agreement at any moment in case of any form of abuse of the rented bike, e-bike or motor scooter. The tennant will lock the bike, e-bike or motor scooter at all times with the supplied lock(s). If repairs are needed, we are entitled at any time to collect from the surety to compensate damages, without prejudice to the right to recover the entire amount due. In case of theft, you are responsible for the daily value of the bicycle/scooter, rental price not included.. The tenant will carefully handle the rented bike/scooter. The tenant shall take full civil liability for damage caused to a third partie. With every premature return of the bike/scooter, the high rent remains. The tennant is obliged to follow the Dutch law and traffic rules. Shortly before and during the rental period, nu alcoholic beverages and drugs are consumed/used. The rented property should not be lent to third parties. Any kind of a traffic fine that occurs during the rental period is on account of the tenant, this can also be done afterwards. If the tenant fueled with the wrong fuel, € 175,- will be charged . Reservations for more than 5 people, there is an advance payment required of 50% of the total amount. At the scooter rent you will receive a scooter fueled up. On return we expect a full tank. 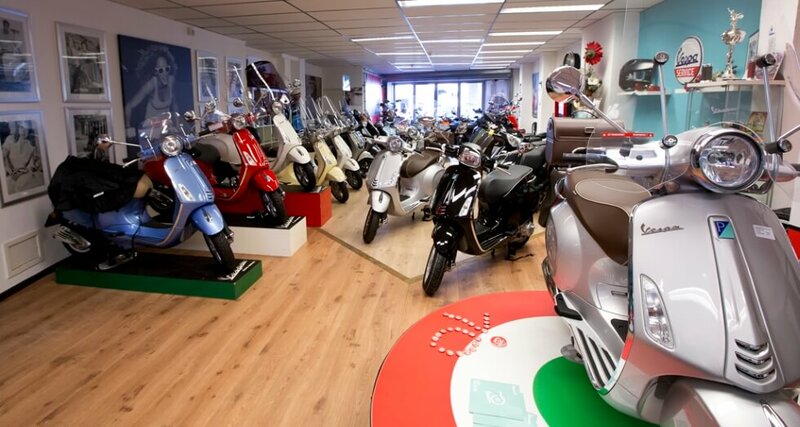 If not, a fee will be charged of € 15,-per scooter, deducted from your deposit. When the rented property is not returned on time as agreed, an additional fee of € 10,-per hour per rented bike/scooter will be charged. Renting a bike/scooter is at your own risk. The lessor cannot be held responsible by any means. Please mind your choice of clothes.